The Fire Basket from Röshults creates a cozy atmosphere in the late summer evenings and warms up the cold winter nights. Made out of steel in Sweden, the Fire Basket is a centrepiece which everyone can gather around. 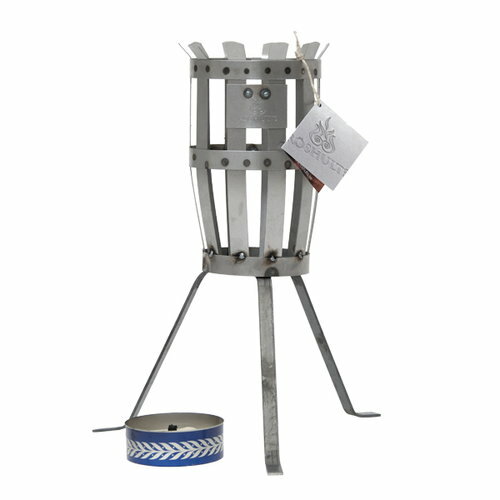 Anders Norgren have become known for designing the first product of the Swedish brand Röshults, the Original fire basket. The idea for designing the fire basket came up in a small cottage in Röshults in Småland. Norgren associated the product so strongly to this place that he named the product the Röshults fire basket. 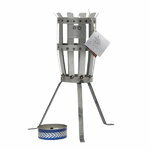 Later Norgrens son established the company Röshults, which still produces Norgren’s original fire basket.